John Mingione says that if you love what you do, the success will come. 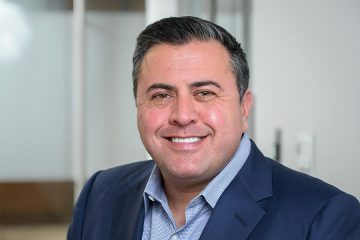 It is this philosophy that has propelled him throughout his career, from spending summers working construction in his hometown of Brooklyn, New York, to founding Omnibuild, one of the most revolutionary companies in the business. John studied Construction Management at the Institute of Design and Construction in Brooklyn, but credits much of his education to growing up in the carpentry business with his father and subsequent years of on-the-job training. In 2003, John founded his first company, Foreman Interiors, which then became Omnibuild – a full-service construction and project management firm with a specialty in interior and infrastructure renovations. After purchasing Cava Construction, John took over field operations of the venture, continuing to assemble teams that provide expertise in all phases of the construction process. John holds a commitment to changing the future and structure of what a general contractor fundamentally is, especially in the minds of potential clients and the public, who are suspicious of overdrawn budgets and unreliable time-lines. Communication between contractor and client is key, and as chief operating officer, John sets the precedent for cultivating that open relationship. Even in light of his professional accomplishments, John believes his biggest triumph in life is his good fortune to be a husband and father to his wife and his three children.